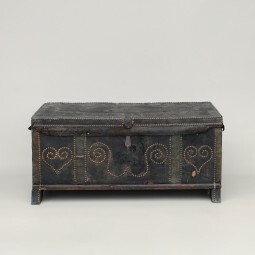 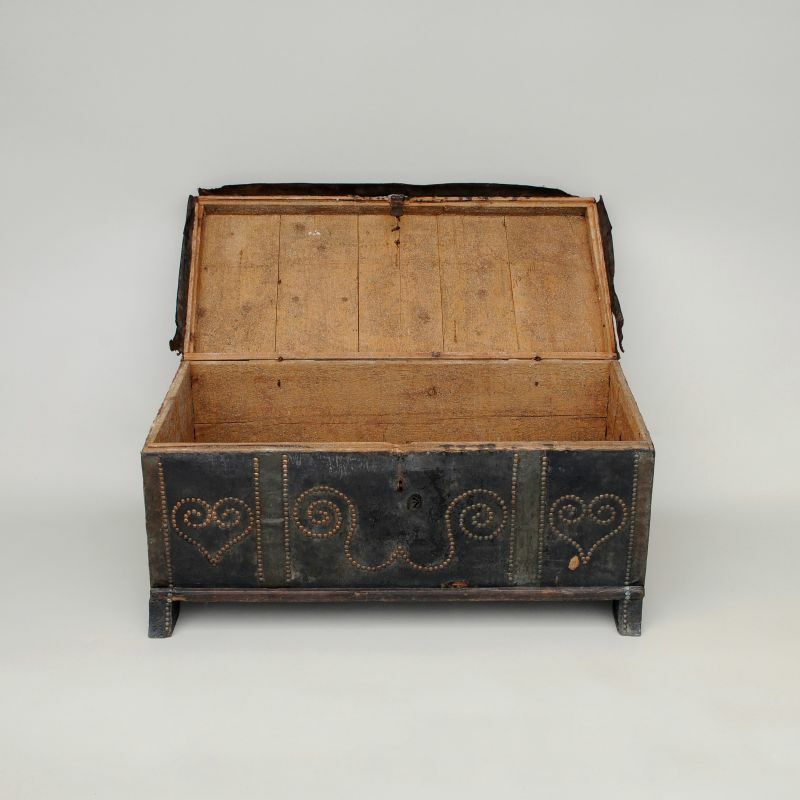 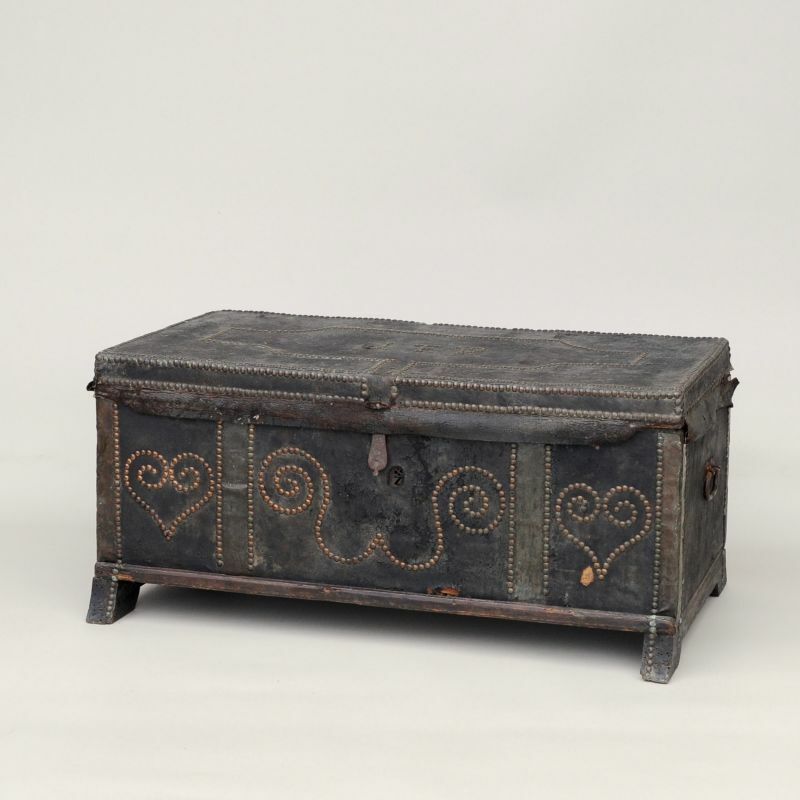 This is a Georgian travelling trunk, covered in black leather and decorated with brass studs. 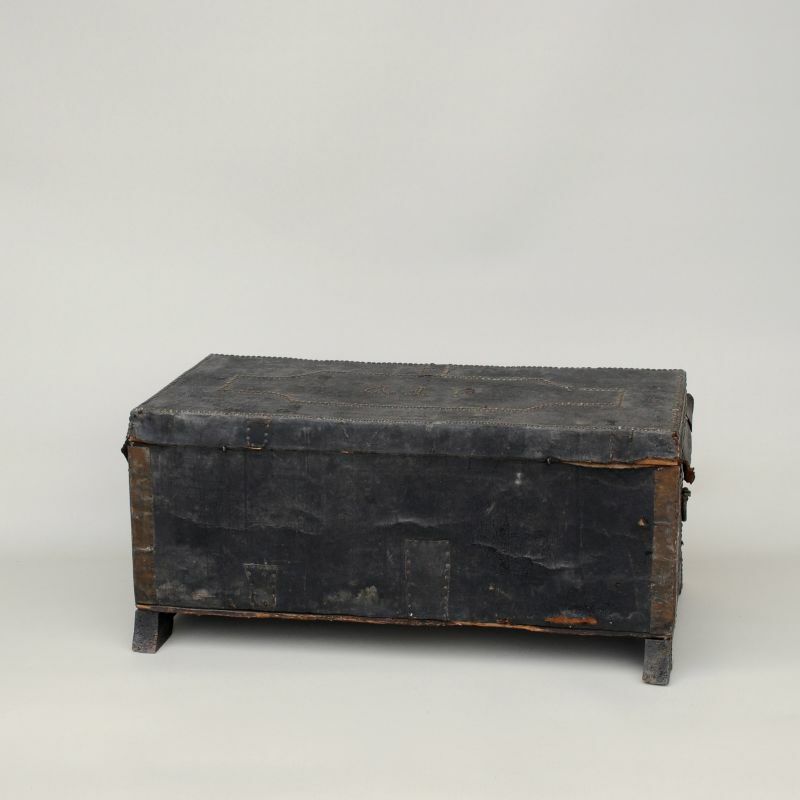 It would have held the luggage of a passenger travelling on a horse drawn coach, or maybe an officer’s belongings on a military campaign. 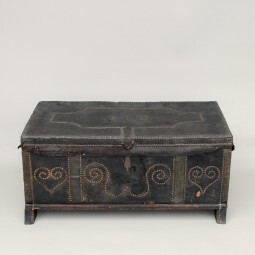 The leather and strips of brass have aged with characterful patination. You could wax the leather and polish the brass but I think it looks great as it is. 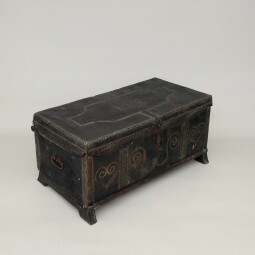 Either way it has huge decorative appeal. 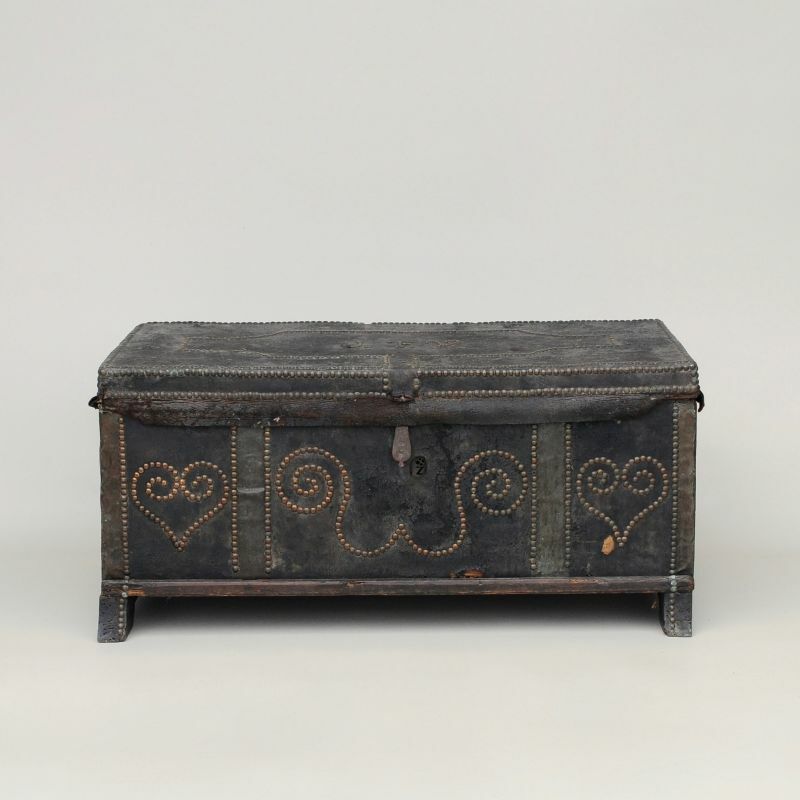 The stud work depicts hearts, scrolls and initials, and might have been decorated by a sailor for his sweetheart. 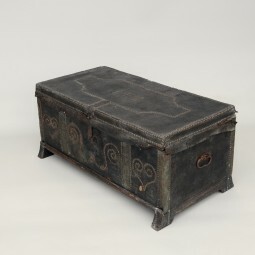 The trunk stands on splayed bracket feet, and retains its original iron handles, lock and cotter hinges. 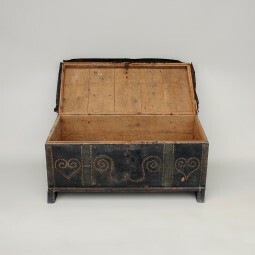 Trunks are always useful for storage, be it for linen at the end of a bed or as a toy box in the living room. 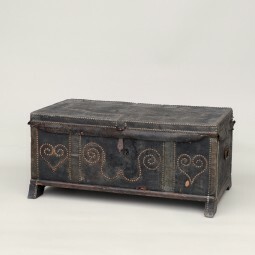 Chests like this often sell as attractive coffee tables or television stands. 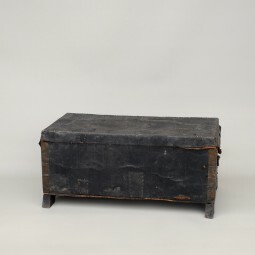 The measurements are 97 cm wide, 50 cm deep and 45 cm high.